We’re all about Sassy this month at 889. Our feels this month… We’re flinging our hair side to side ~ dancing like no one (and everyone) is watching ~ throwing judgment of ourselves and others to the wayside ~ hitting the ballet barre (whaaat?) ~ and standing in our inner sassy. 889 is launching << drum roll please >> BARRE classes June 2nd! Let’s amplify our inner sass and strengthen, lengthen and love our bods together. 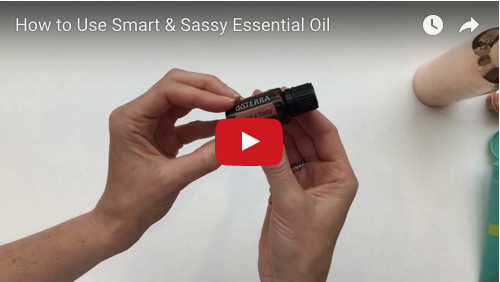 Our essential oil of the month, one of my faves, is Smart & Sassy; a warm and spicy blend to boost your metabolism and curb your sugar cravings. BARRE classes are now on the 889 schedule, book your spot TODAY! Smart & Sassy, the Oil of inner beauty, is a tasty blend of Grapefruit Peel, Lemon Peel, Peppermint Plant, Ginger Root and Cinnamon Bark Essential Oils. This blend will encourage you to embrace your natural + individual beauty, accept yourself for who you are, and believe in your inherent value. It is also great for those of us who impose strict standards on ourselves to release these obsessions and limitations. Grapefruit oil is full of powerful antioxidants. It helps to boost metabolism and works to curb appetite and sugar cravings. This oil helps to promote a healthy metabolism in a natural way. It promotes a positive mood and calms the stomach. 1. 1-2 drops in my 1L stainless steel (no plastic!) water bottle every afternoon for a revitalizing boost. It’s SO DELICIOUS. We will be sampling this oil all month at 889, so bring your water bottles for a sample of the most delicious, health-promoting water ever. 2. Add 1 drop to a smoothie before or after a class or workout. 3. Mix a few drops of Smart & Sassy with my unscented body lotion. I use 1 drop per limb mixed with lotion. Apply post-shower or bath and feel the zippy tingly zing all over your body! It can act as a lymphatic stimulant, so focus on stubborn areas (read: cellulite) and the oil may be beneficial to smooth and firm. On an energetic level, the level we yogis love, the Metabolic Blend “Smart & Sassy” encourages individuals to rise above self-judgment by embracing the body’s natural beauty and inherent value, regardless of weight, shape or size. We at 889 believe that as we accept our bodies the way they are, the body can more easily move towards its ideal expression. Book your 889 Barre classes. Buy Smart & Sassy at the 889 Shop, in store or online.